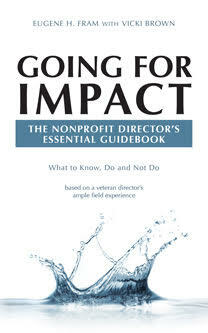 Spreading the Good Word: Nonprofit Board Protocol Needed? One of the pleasures of nonprofit organizational accomplishments is to communicate the very favorable impacts to their communities or trade/professional associations they serve. Yet frequently these positive results are hidden behind the proverbial bushel! The board and management lose sight of the progress made over a long time period, and the year-to-year successes are construed as routine occurrences internally and externally. Is a policy or procedure necessary or should the reaction be an ad hoc one to a specific occurrence? Your comments and experiences appreciated. ← Harvard Grads Subsidized to Take Nonprofit Jobs: Good, Bad or Irrelevant? I suppose this really depends on whether or not the organization can afford a full or part-time communications specialist. That person should have the responsibility for “selling” good news stories to the media. If he or she is any good, that shouldn’t be a major problem. In addition, the use of social media, ie Twitter, Facebook, etc., can be used to great advantage. All this can be done without paying for advertising. The comms specialist salary or the cost of a communications consultant is a necessary expense if you want to maintain and enhance the profile of the organization – especially if you want to get into a fundraising mode. No question this is the best route, or can the CEO delgate it to some one on the staff as a part-time activity? Communications is a specialist’s job..not a corner of the desk chore for someone who is not qualified. Larry: I was thinking of someone at the senior management level who has good communications and interpersonal skills and who might be on the route to an ED position.